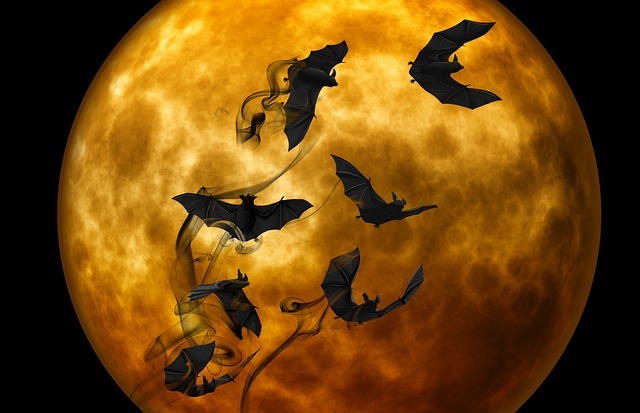 Humans aren't the only ones who respond to Tender Loving Care - so one the Halloween theme we thought you'd like to know that bats resppnd best to TLC, if they sustain injuries to their wings. Previously tears and cuts were glued, however veterinary nurse Sarah Goodwin says the bat will heal itself as long as it is given some tender loving care. So she simply keeps them warm, gives them antibiotics and feeds them vitamin and mineral-rich food. Ms Goodwin, from the Stapeley Grange Wildlife Centre in Cheshire, said: "I just couldn't believe how fast the wings grew back together. "It was amazing. All they needed was a bit of rest and care and their wing membranes healed all by themselves, ready for them to fly back safely into the wild." Of the nine bats used in the Heal to Fly project five have been returned to the wild, and two died from other injuries. The remaining two are still in care. On average it took around eight weeks for the healing process to work. Before they were released back to the wild, the bats were given increasing flight practise to build up their strength. Ms Goodwin added: "We are all really excited by the results so far. They will have far reaching consequences to the way we and other bat carers care for bats and will give bats with such injuries a second chance."